This is not a museum, it’s much more than this, it’s an invitation to a voyage. The Musée du Quai Branly, dedicated to the arts and civilisations of Africa, Oceania, Asia and the Americas, lies along the Seine like a beautiful pirogue which has been washed ashore from another culture and another time and finally found a harbour here on the Seine, close to the Eiffel Tour. 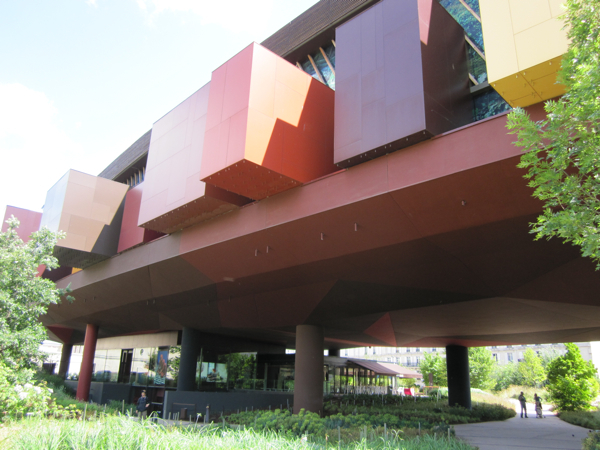 In a few days, the Musée du Quai Branly will celebrate it's sixth birthday. During these early years it has shown that it's quite a unique place in the world. 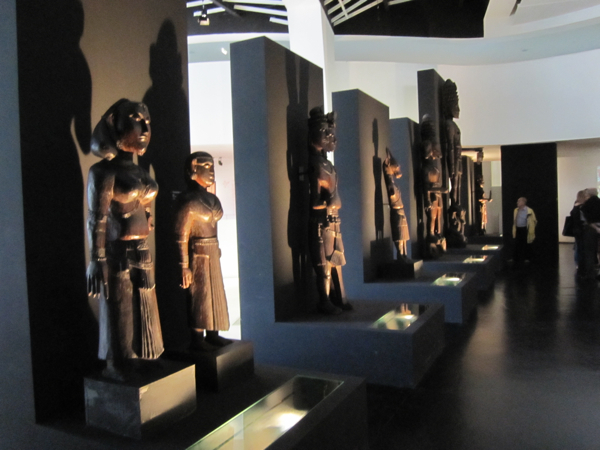 The museum actually displays some 300 000 exhibits including sculptures, statues, jewellery and fabrics from foreign cultures. Most of these treasures come from two earlier collections, which were, for long time, displayed under a layer of dust in two different locations (Musée de l’Homme and Musée National des Arts d’Afrique et d’Océanie). At their new home in Quai Branly it is no longer about their encyclopaedic value, it’s all about beauty. And because museum directors have come to understand that less is often more, you will not be overwhelmed by too many exhibits. The permanent exhibition is definitely worth a visit and a lot of thematic exhibitions throughout the year mean that many people revisit the museum regularly. Initiated by former President Jacques Chirac in order to leave – after twelve years in power - some cultural marks on the urban landscape of Paris like his predecessor François Mitterrand did so perfectly, the Museum was inaugurated in 2006. Since than, it has become one of the popular cultural spots in Paris with 1,300 000 visitors each year. The success of Branly is, of course, also due to it’s spectacular architecture conceived by French star-Architect Jean Nouvel who, after having left his mark on Paris with the astonishing Institut du Monde Arabe and the Cartier Foundation, produced another masterpiece here. 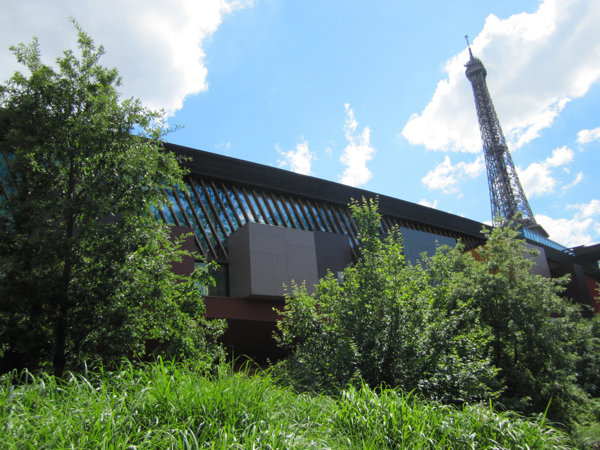 The Musée du Quai Branly is not something completely off the beaten track. But it’s definitely not as crowded as the Louvre and other musts in Paris. It’s a perfect thing to do with kids. Plus, in summertime the beautiful garden gives you the impression of being lost in a tropical paradise. Don’t forget to admire the vertical garden created by famous landscape architect Patrick Blanc with its 1500 plants that cover a part of the façade of the museum (towards the Seine). 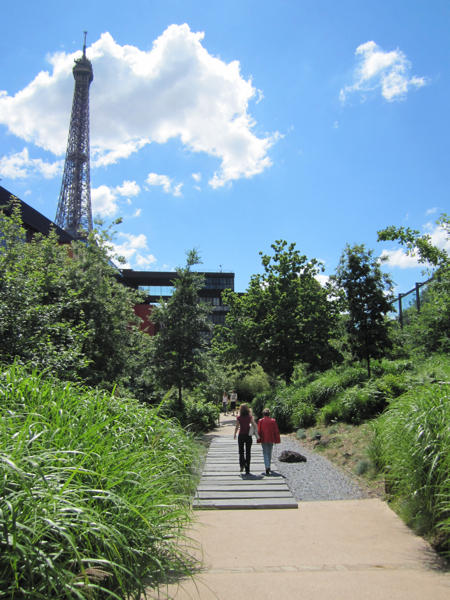 On the roof-top of the Quai Branly you can enjoy a stupendous view of Paris. Do you therefore need to eat at the restaurant “Les Ombres” which is situated there? Let’s put it diplomatically: The view is fantastic, the spot unique. The food is not bad at all. But here you definitely have to pay the view.